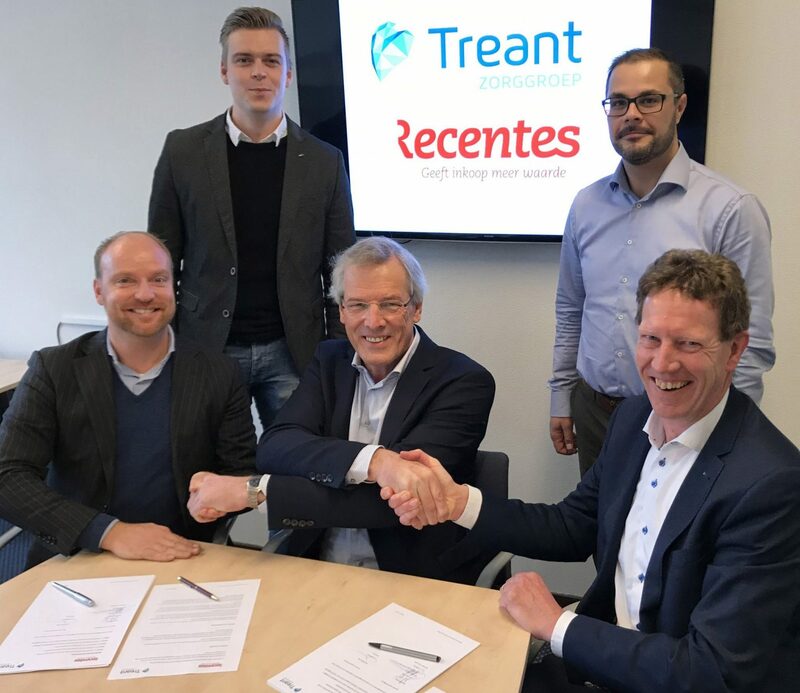 On 25 January, the cooperation between Treant Zorggroep and Recentes was sealed with signatures. Recentes will assist Treant with the further professionalisation of their contract and supplier management. We shall be looking back in order to learn for the future. We shall also be checking whether purchasing agreements have been complied with, and will advise on whether processes can be improved. 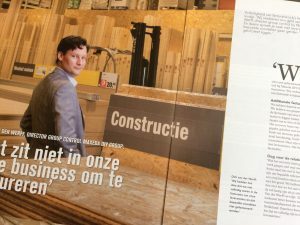 Managing 3 hospitals and 17 healthcare locations, Treant Zorggroep is an important supplier of healthcare in the north-east Netherlands. Signing the contract on the photo, from left to right: Fred De Jong (purchasing manager Treant Zorggroep), Jaap Wieman (Recentes) and Olke Dijksma (finance manager Treant Zorggroep). Kaj Rosink of Recentes and Karel Kip of Treant (standing) will be intensively involved in the project in various roles. Treant is a trendsetter in healthcare thanks to this project: the financial effects and learning effects will be important. Together with our vast experience in the commercial sector, the best of both worlds has now been combined. On 4 December 2018, we proudly presented our company in the innovations section of the 2018 Retail Innovation Summit organised by AXI. At a very special location and with what proved to be a wonderful ambience: the National Military Museum in Soest, the Netherlands. 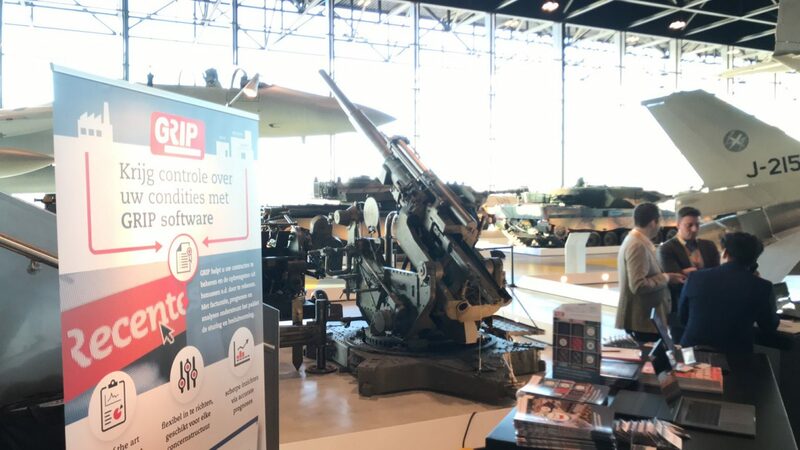 At our stand and armed with our brochures, we were able to update many interested retailers about how their organisation can get more GRIP on contracts and conditions. Did we miss you at this event? 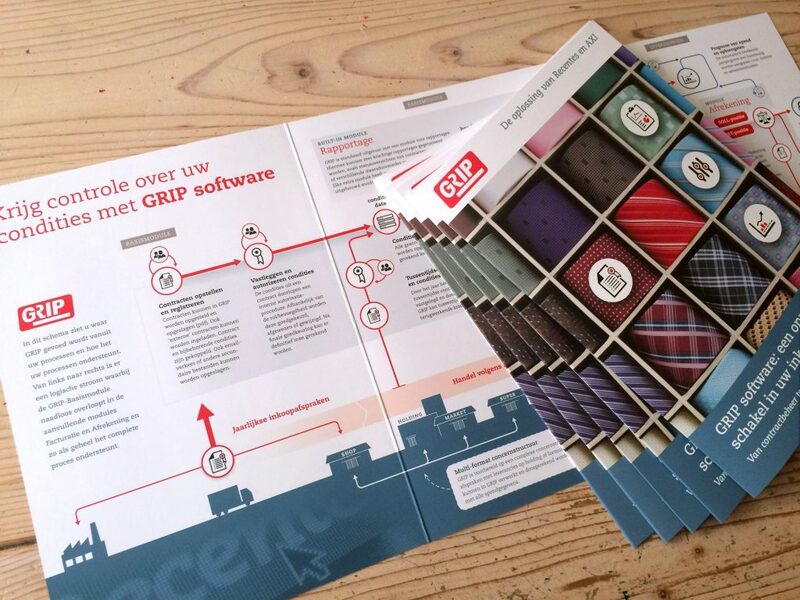 Would you like to know what GRIP can offer your organisation? Why not make an appointment with Jaap Wieman for an introductory, no-strings-attached chat. Good news! Recentes has branched out into healthcare! We have recently been granted our first project in this sector. We are to conduct a Quick Scan for a healthcare group, comprising hospitals and healthcare locations. This may be followed by a Recovery. Volume: it involves around €85 billion each year. Complexity: healthcare organisations are ‘professional organisations’ (according to management guru Henry Mintzberg). Decentralisation of the expenditure: distributed organisations. Movement: far-reaching organisational changes, such as mergers and cooperative relationships. Each sector has specific issues. Within the healthcare sector, the attention may well (tend to) be focused on the accuracy of purchasing prices, VAT issues or the goods flow. Very different to Retail, where bonus conditions play a major role. We shall see! We look forward to working with this healthcare group! The next few meetings within the healthcare sector are already scheduled. Would you also like to know whether a ‘quick check’ or a Recovery is interesting for your organisation? Why not request our Quick Scan? Within three weeks, you will have a concise report containing an analysis of the general process and the accounts of your organisation. And possibly a proposal for a Recovery. Would you like to know more? Please send an email to jaap.wieman@recentes.nl. We found the Recentes staff to be extremely hands-on, both in their quest for our debtors and auditing of our supplier contributions. 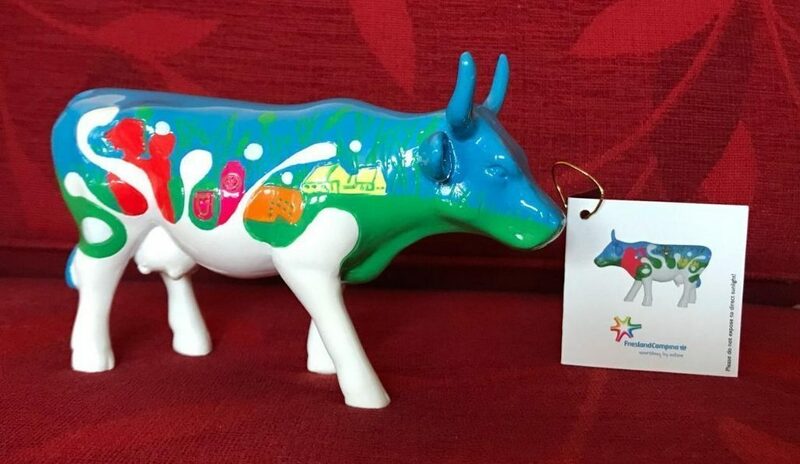 They moved almost silently around the organisation in order to collect all the necessary data and information, without the buyers or administration department feeling this to be an extra burden. It's also ideal that they can be very flexibly deployed, allowing us to call in Recentes at those times when they are most relevant.